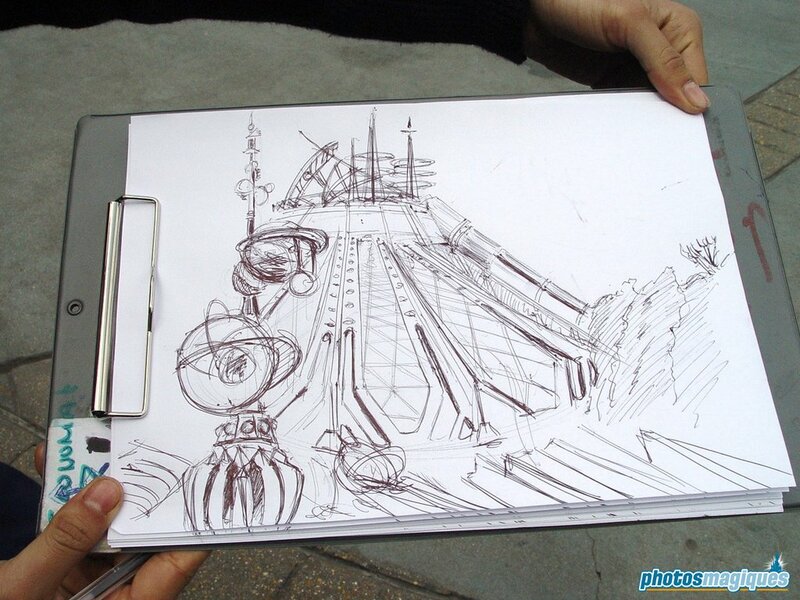 On May the 4th (be with you) 2005 I was wondering through Discoveryland when I suddenly stumbled upon a maintenance Cast Member apparently making a drawing. I asked what he was doing, so he showed me his sketch of Orbitron – Machines Volantes and Space Mountain: Mission 2. It turned out he loved making sketches of attractions in the park during his break.